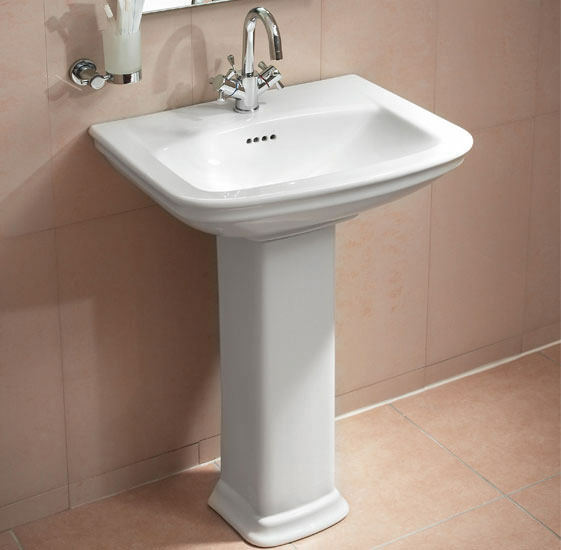 Statuesque and elegant the Washbasin with full pedestal from VitrA Sereneda exudes a timeless charm. 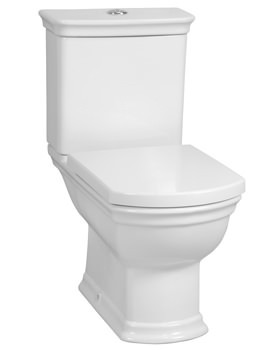 With a smooth body and classic lines it has been designed for functionality and grace. 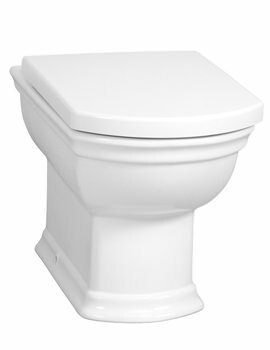 Made of high grade white Vitreous China, it features 1 tap-hole and overflow. It is also optionally available with 2 tap-holes. 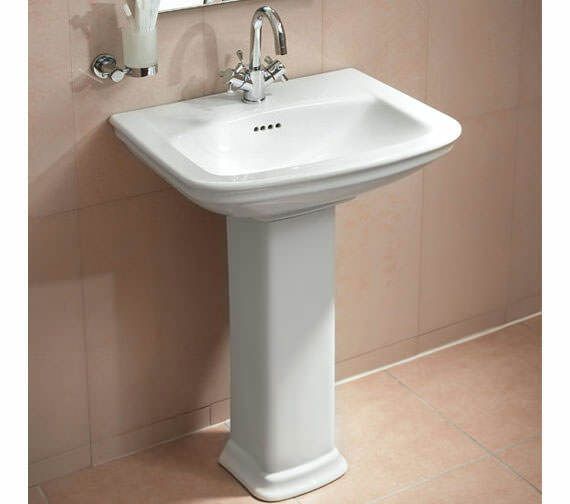 The full pedestal gives it stability. 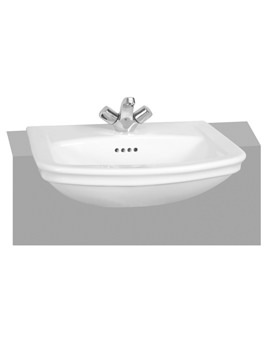 Suitable for bathrooms of all sizes it is durable and easy to install. Only a minor niggle but the edges are not level, so its tricky to get our (family heirloom and rare) crystal soap bottle to stay in place, it tends to want to slide into the bowl unless in exactly the right place. 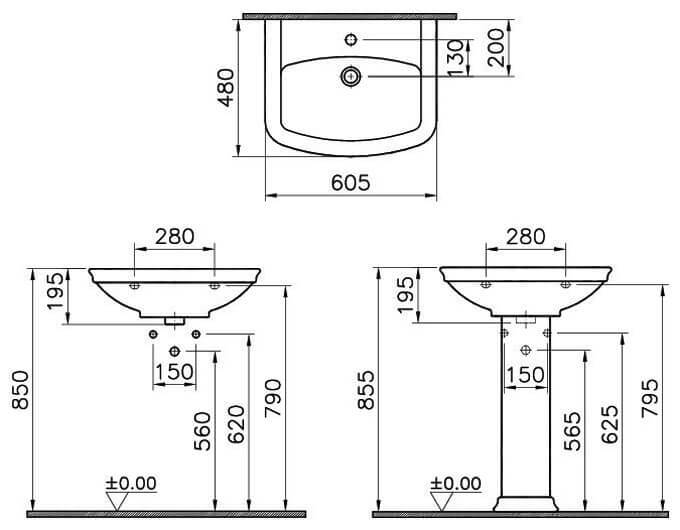 Does this Basin come with one tap hole as standard? If so, and we ant just one tap hole, then do need to click "no option selected"? 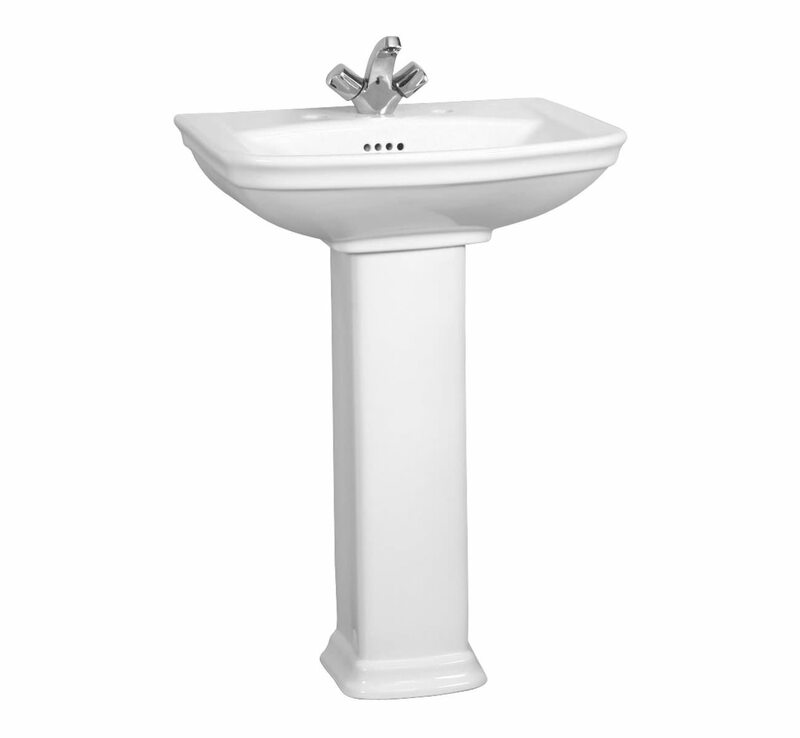 If you require 1 Tap hole basin, then do not select any Option just click on add to basket and proceed for payment.